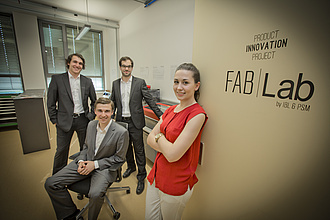 FabLab Graz was launch as the first Austrian FabLab in 2014. Neil Gershenfeld from the Massachusetts Institute of Technology (MIT) set up the first FabLab (Fabriation Laboratory) in 2002. Nowadays, over 1,000 FabLabs worldwide span an enormous knowledge sharing network. The basic idea of this global network is to offer possibilities for every individual to invent and build hardware products themselves by having access to capabilities for designing, manufacturing, distributing and knowledge. 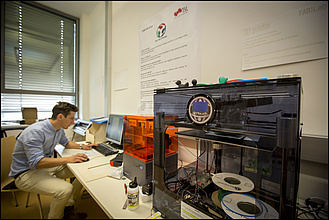 At the current FabLab Graz you can find machines like a laser cutter, CNC milling machine or various 3D printers. Moreover, tools for traditional manufacturing activities such as metalworking, woodworking and electronics prototyping are provided. FabLab Graz will be expanded in 2018 to 800m2. The FabLab Graz is located at Inffeldgasse 11/I. Open to inventors, entrepreneurs and creatives, FabLab Graz is a place for learning, prototyping and idea exchange to foster product innovation. 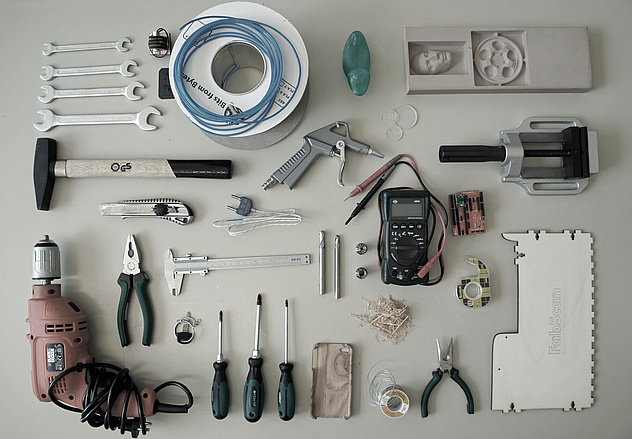 What is the FabLab Graz? A FabLab is a space which provides high tech machinery for digital fabrication. All FabLabs have a similar structure that allows to make (almost) everything. This enables a high level of mobility between the users and worldwide exchange of knowledge. Who can use the FabLab Graz? FabLabs are a resource for community. Everyone enjoys free access to it, but there are also specific times reserved for lectures or project workshops. Who owns the FabLab inventions? Designs and process methods developed in a FabLab can be copyrighted and used for business but the gathered knowledge should stay available for individual use and learning.